I have it on good authority that 40 percent of college admissions officers search Google when they are reviewing a student’s application to their college. Which 40 percent? Anyone’s guess, but there is no time like the present to keep this in mind as you post on Facebook, Twitter, Instagram, and wherever else you post, even the disappearing Snapchat. Last year, Harvard rescinded acceptances to “at least 10” (ten!) students once they were accepted because of offensive behavior on a PRIVATE Facebook page – with no chance of appeal. What you do online matters! I would hope that expectations of what to post and what to avoid would be obvious, but in case they aren’t, here are some basic guidelines. Parents, if you’re reading this, please share with your high school students. Don’t use profanity, don’t insult others, don’t say anything that could be interpreted as sexist, racist, homophobic, or insulting to a religion or a group of people. Don’t send sexts of yourself, even if you think they are going to an individual. I have heard about and read more stories than I care to about people sending private photos that then get posted on someone’s social media account and go viral. Don’t insult teachers or your school. Don’t suggest any violent activity, even in jest. Don’t post photos of yourself doing illegal drugs and don’t make reference to them. If you have posts that might fall under any of these categories, it’s probably best to delete them. 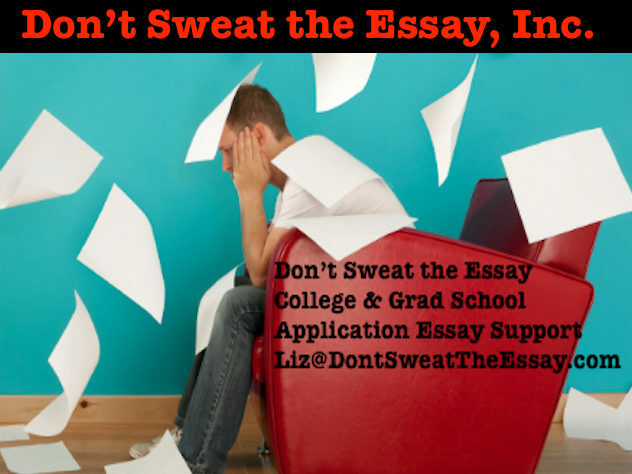 If I’ve missed something you think is important, please shoot me an email: Liz@DontSweatTheEssay.com – and if you want to discuss college application essays, college selection, and/or are in need of standardized testing tutors. Did College App Essays Get My Clients into These Colleges EA/ED?